As soon as a company becomes a covered federal government contractor it is exposed to possible penalties, cancellation, termination or suspension of a contract, and even debarment from further contracts — if it is found to be out of compliance with affirmative action obligations and other non-discrimination rules. A covered contractor is defined as a business, company, or organization that has contracts with the government, or one of its agencies of $50,000 or more. Recently this has been expanded to companies that indirectly or through a third party are suppliers to the government of one of its agencies. This can be either goods or services or even personnel. So the bottom line is if you do business with or shake hands with the government you must not only be aware of rules and regulations, but also how to be compliant with the regulations. All year the government has been saying that the Department of Labor and the OFCCP are going to step up their EEO and federal contractor audits; and they’ve already begun. The first items (currently) that are being scrutinized are compliance with Executive Order 11246, VEVRAA, and minority-owned businesses. There are still some ways to insure acceptance of your affirmative action plan beyond the usual records and statistical information regarding your company’s hiring process and procedures. One of the very best and most economical ways that a company can be proactive and get in front of an OFCCP audit is through its good faith efforts while recruiting. Over the years the definition of what constitutes accepted practices for good faith efforts have changed. Now as a company you have to show not only that you are recruiting from a broad base of candidates, but that you are making a concerted effort to actually reach into each specifically targeted minority talent pool. This is accomplished by utilizing resources that are specific to each minority talent pool targeted, and by showing company outreach into those same minority communities. How the Department of Labor and OFCCP eventually define for publication company outreach will determine what you will have to spend on minority recruitment and compliance. As it stands now these efforts that you make to both recruit and be complaint should be standalone. You should not place all your recruitment dollars into one resource such as a single outlet for all audiences, but rather allocate some of the recruiting and hiring budget to specifically targeted minority and diversity vehicles. If you do this, you will have successfully avoided one of the most common hiccups in diversity & inclusion and minority recruitment. This common miscue is most often referred to as compliance by association. This occurs when you use recruitment dollars with a source that is merely “associated” with or has “partners” that are minority recruitment and or diversity & inclusion related, but your paid source is not a specific minority recruitment or diversity & inclusion vehicle on its own. This use of recruitment dollars does not mean that your efforts have been placed or broadcast with these associates or partners. 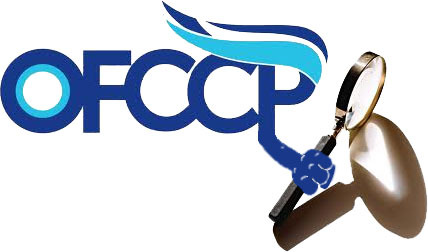 Even if this was the case and some of your efforts were distributed to other outlets, as your company never created any direct or fiduciary relationship between the specific minority recruitment or diversity & inclusion outlet(s) the OFCCP will not recognize these efforts as “good faith”. Company outreach into these specifically targeted communities’ content distribution into the targeted minority or veteran community. These two things in concert (with metrics that a provider of these services can provide) meet the current standards regarding your company’s good faith efforts and would also be a show of community outreach.